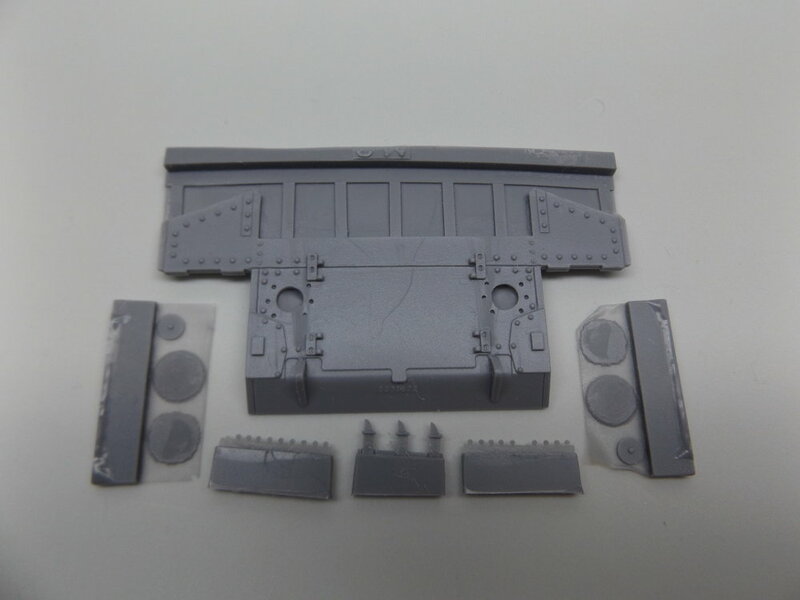 This item is intended to be used on the TAKOM early Lee and Grant kits. It is meant for those who wish to show a retro-fitted, field modified or late production vehicles. THIS ITEM CAN BE USED IN CONJUNCTION WITH TMD REAR OVERHANG WITH TRIANGLE OR RECTANGULAR SHRAPNEL PLATES, FIELD-MOD OR FACTORY FISHTAIL EXHAUSTS, ROUND OR SQUARE AIR CLEANERS.